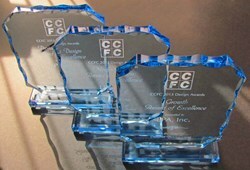 LPA receives the highest honor from the Community College Facility Coalition on projects in three different categories. LPA received three project awards at the 20th Annual CCFC Conference, held Nov. 5, 2013. We believe good, sustainable strategies can be integrated in a cost-effective and meaningful way. Three projects from California-based sustainable design firm LPA Inc. have been awarded the highest honor, awards of Excellence, from the Community College Facility Coalition (CCFC) in Sacramento, Calif. 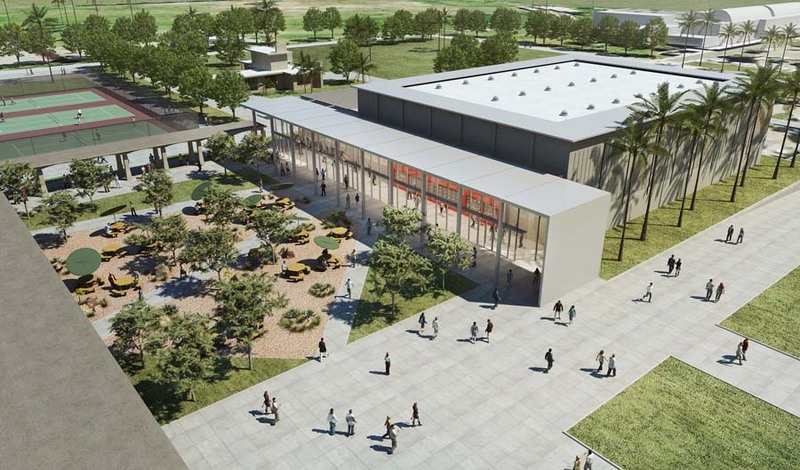 The Newport Beach Campus of Coastline Community College received the Award of Excellence in the Growth category; the Athletic Complex at College of the Desert in Palm Desert, Calif., won in Project Design; and the Riverside Community College District’s (RCCD) Center for Social Justice and Civil Liberties achieved Excellence in the Modernization category. Coastline Community College's Newport Beach Campus represents growth for the community college, which has long been known for distance-learning opportunities. The three-story facility provides the feel of an entire collegiate campus in a single, 66,800-square-foot building. The marriage of bold, formal academic spaces with comfortable social settings suits the next generation of learners, while the structural design exploits the unique, ocean-side setting. The classrooms utilize daylighting potential and ocean breezes. “One of the most interesting things about the classrooms is that they are naturally ventilated,” says Silke Frank, Project Designer at LPA. “They have operable windows, and all the rooms have a view of the ocean,” she adds. 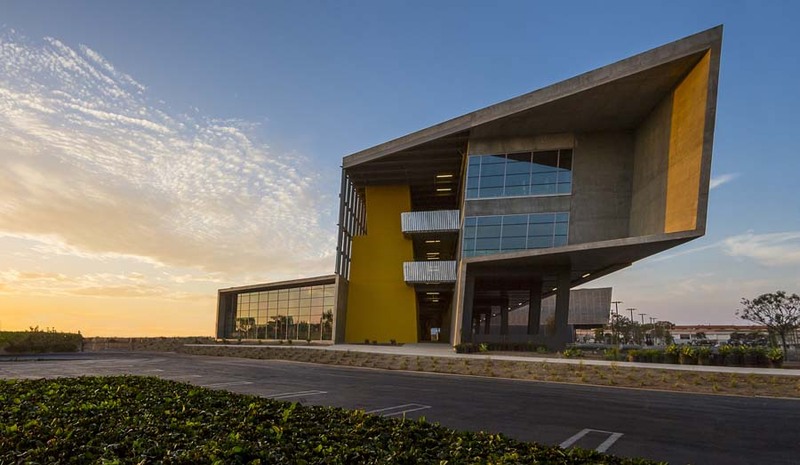 The Newport Beach Campus, in addition to utilizing the site’s mild coastal climate, boasts numerous other sustainable features that contribute to its LEED-Gold design. Stormwater management, green roofs, and living walls are a few notable elements, and the building exceeds California’s stringent Title 24 energy code by more than 33 percent. In Palm Desert, Calif., the LPA design team faced and overcame a different challenge with the Athletic Complex at College of the Desert – how to add to and renovate in the middle of an existing campus while fulfilling the College’s mission to “Create a Model Sustainable Campus.” The project includes the renovation of an existing building into a modern health and fitness facility, as well as construction of a new, 35,000-square-foot gymnasium and tennis complex. “We needed to blend the new parts into the existing fabric and architecture of the campus,” says Frank. Winston Bao, Associate at LPA, recognizes the importance of implementing sustainable design practices to making a lasting difference at the College. “Whether it is specifying timeless and durable materials that can respond to the harsh desert environment, or designing spaces that need to endure high-use, high-impact functions in a collegiate environment, we believe good, sustainable strategies can be integrated in a cost-effective and meaningful way," explains Bao. In addition to providing a new facility that allows the college to continue delivering high-quality education, LPA re-purposed existing spaces to support these programs in an effort to extend the sustainable approach; instead of building more, re-use what you already have. Slated to achieve LEED-Silver certification, the project features “cool roof” systems, water-efficient landscaping and plumbing, and optimized energy savings through the high-performance building envelope. 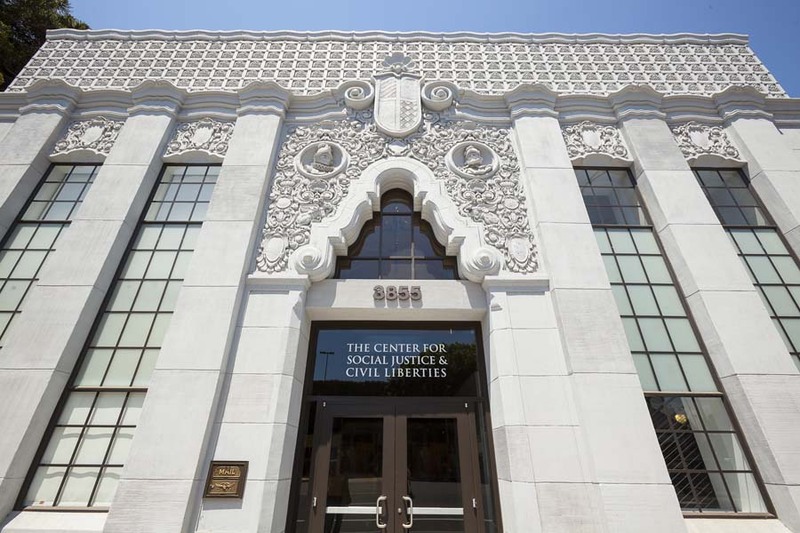 In Riverside, Calif., RCCD's Center for Civil Liberties and Social Justice is a stunning example of excellence in sustainable modernization. For 50 years the historic, two-story, Spanish Colonial Revival building, originally designed by the celebrated Stiles Oliver Clements, was masked under brick and steel. 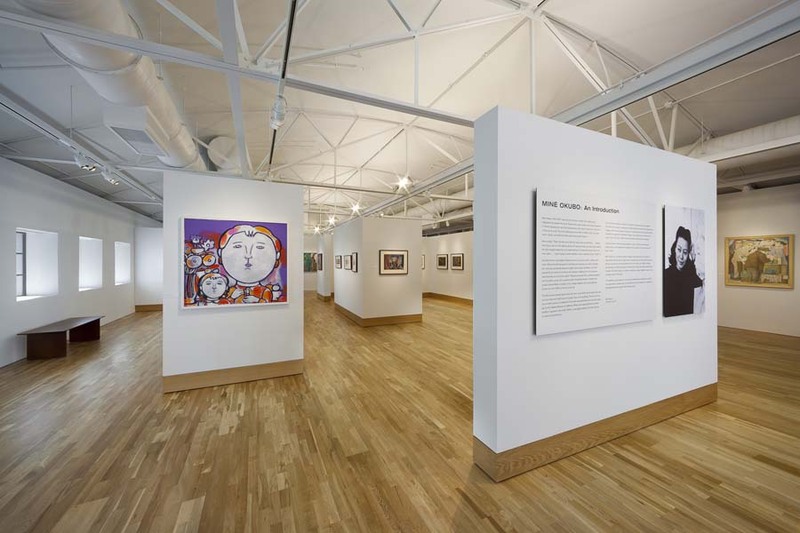 LPA faithfully restored the building’s original appearance and went on to transform the interior into an open, modern exhibit space. “LPA basically stripped away everything that was added to the building over time and restored the original building elements,” says Steve Flanagan, Managing Principal at LPA. “New programmatic spaces were designed with modern materials and technology. 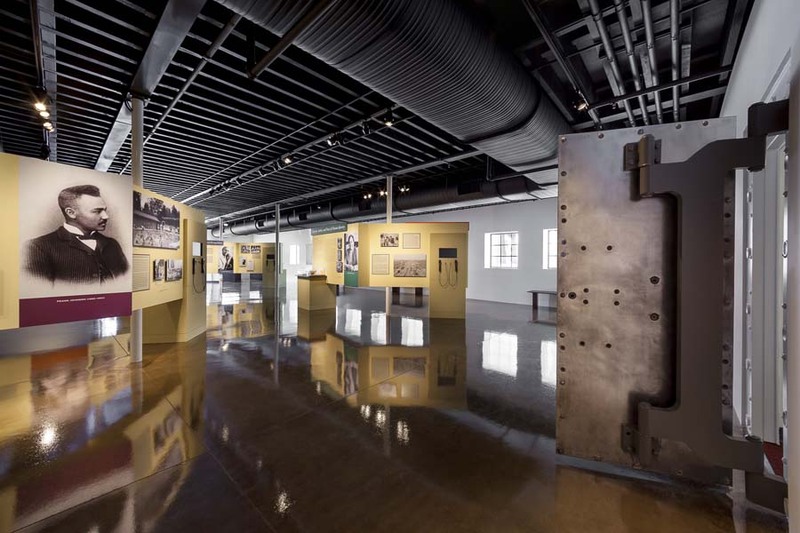 The result is a beautiful balance between a historic restoration and a new, state-of-the-art museum, art gallery, and research facility,” he says. LPA received the project awards at the 20th Annual CCFC Conference on Nov. 5, 2013, where Flanagan also served as moderator on a panel on sustainable renovations at community colleges. The Community College Facility Coalition (CCFC) was formed for the purpose of providing advocacy for facilities issues and providing critical information and services to California's community college districts and their business partners on facility matters. CCFC provides a strong voice before the State Legislature and Administration on facilities issues of concern to the community colleges. Founded in 1965, LPA has nearly 200 employees with offices in Irvine, Roseville, and San Diego, Calif. The firm provides services in architecture, sustainability, planning, interior design, landscape architecture, engineering, and graphics. There is no “Sustainability Director,” at LPA. Instead, more than 80% of the professionals are LEED accredited, including the Human Resources Director, CFO, and several other support staff. With extensive experience in public and private architecture, LPA designs a diversity of facilities that span from K-12 schools, colleges and universities, to corporate and civic establishments. More than 500 major design awards attest to LPA’s commitment to design excellence. For more information, visit LPAinc.com. The three-story facility provides the feel of an entire collegiate campus in a single, 66,800-square-foot building. 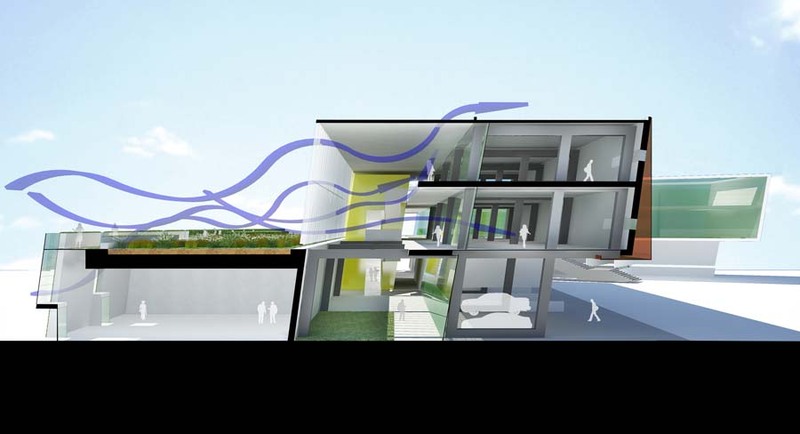 Natural ventilation is a key sustainable element in the design of Coastline Community College's Newport Beach Campus. 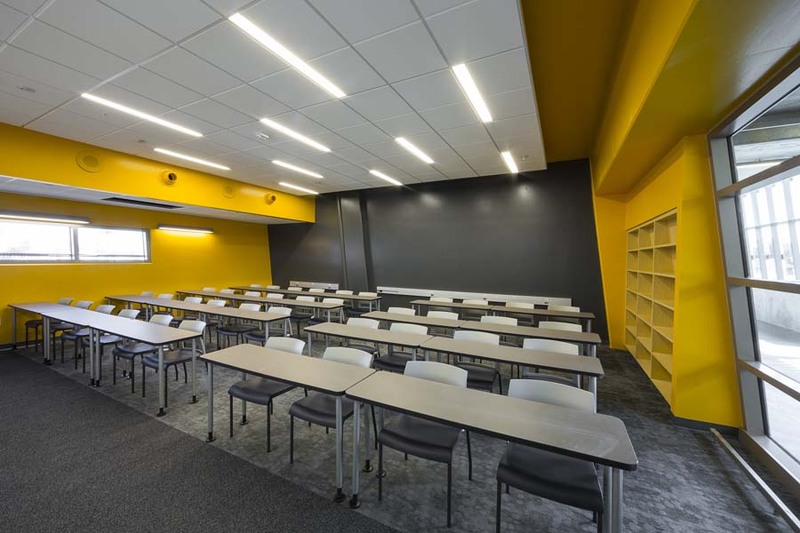 The flexible classrooms at Coastline Community College's Newport Beach Campus use daylighting potential and ocean breezes. The College of the Desert features “cool roof” systems that add to its sustainable story. 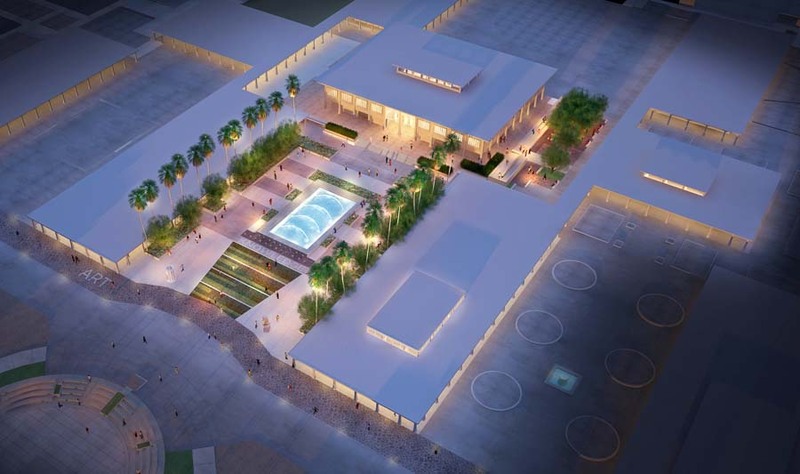 LPA clients at College of the Desert have a mission to “Create a Model Sustainable Campus.” The design team revealed the Spanish Colonial Revival building, which had been masked under brick and steel since the 1960s. “It’s historic on the outside, yet modern and purpose-driven on the inside,” explains Project Manager, Steve Flanagan. The modern interior is a two-level exhibition gallery honoring Riverside-born artist Mine Okubo.